I am a Professor in Environmental Science (key areas being Remote Sensing, GIS, Spatial Modelling, Climate Change Impacts) at the University of New England in Armidale, Australia. 1998 Doctor of Philosophy (GIS/Remote Sensing), University of New South Wales, Sydney Australia. Title: "Modelling forest resources using Geographical Information Systems and Hyperspectral Remote Sensing." 1994 Master of Applied Science (Remote Sensing), University of New South Wales, Sydney Australia. Title: "Artificial Neural Networks and their use in image analysis and classification of remotely sensed multispectral data: A Review." 1992 Master of Science by Research (Environmental Physics), University of the South Pacific, Suva Fiji. Title: "Effects of aggregate size and water content on soil tensile strength and soil compaction." 1990 Post-Graduate Diploma in Physics, University of the South Pacific, Suva Fiji. 1989 Bachelor of Education, University of the South Pacific, Suva Fiji. 1988 Bachelor of Science, University of the South Pacific, Suva Fiji. 1981 Diploma in Science Education, University of the South Pacific, Suva Fiji. I supervise higher degree and coursework research students in a broad range of application areas, dealing with climate change impacts on biodiversity and small island states, mainly in the Pacific and the Himalayan region, remote sensing, spatial modelling, spatial ecology and species distribution modelling. Funded by Oman Research Council, $690,000. Summary: Climatological and environmental conditions are very important in determining the distribution and survival of any species, both plants and animals, and the same applies to the Dubas bug. Understanding the distribution and affinity of the bug to variables can play a key role in mapping, control and management, including resource allocation (spray teams, field personnel, etc.). This research will use tools and techniques available in modern spatial analysis packages, such as Geographic Information Systems and Remote Sensing, to model and develop spatial links and correlations between presence/absence/density of Dubas bugs with climatological, environmental and human factors and conditions. We will develop GIS layers that give the density and distribution of the bug infestation levels and the stress observed in the date palms, and link them with rainfall patterns, humidity, wind direction, temperature, soil salinity, irrigation practices, farming practices, etc. to investigate correlates. We will also investigate whether soil types, geology, aspect, slope, elevation and available solar radiation play any part in enhancing the development, survival and spread of the Dubas bug. We will also use combinations of some of these variables, such as the humid-thermal index (HTI) to gain an understanding of preferred environments of the Dubas bug. This research will start off by using single variables to develop correlations and then move onto more complicated predictive models and regression analysis where we incorporate all factors to investigate what combinations of factors are the most conducive to the survival and spread of the bugs. We will use modern geostatistical techniques and statistics to look at hot spots and clustering of the bugs and investigate why they are clustered in certain regions/conditions. These techniques will help us identify the most important variables or combinations of variables that help the Dubas bug develop, prosper and migrate. The project will also use remote sensing tools and satellite images to develop early detection techniques for the Dubas bug at broad scales. We will use satellite images to map the spatial distribution of the bug, and possibly do this on a temporal scale as well to see the directions and speed of spread. The output, especially the spatial distribution and spread images, will be used as inputs to the GIS-based predictive models. 1- Human-related factors, such as aerial spraying. It will be of value to gather aerial and ground insecticide spraying data for the past 10 to 20 years and correlate these with current bug densities and densities of key natural enemies. 2- Cultural practices such as planting distance, irrigation, fertilization, pruning and sanitation should be also considered in any model to explain distribution and density of the Dubas bug. 3- Biotic factors such as species and densities of natural enemies (predators, parasitoids, parasites, and pathogens). Even if the environment and climate is conducive, but there is significant mortality due to natural enemies then Dubas bug densities will effectively be lower. 4- We will use modern geostatistical techniques and statistics such as Geary’s Index, Morans I, Getis- Ord Gi*, Ripley's K-Function, etc. to look at hot spots and clustering of the bugs and investigate why they are clustered in certain regions/conditions. These techniques will help us identify the most important variables or combinations of variables that help the Dubas bug develop, prosper and migrate. Once the factors and combinations of factors have been identified we will then use these to develop predictive models that will be able to give us the probability of occurrence, spatial distribution and densities under different environmental, climatological and resource availability conditions. These models then could be used to forecast the spatial distribution and densities of the bugs under prevailing conditions at the beginning of each bug season. These results in-turn could be used for management purposes and for decision making as to where to direct resources for preventive action. A second, but linked, part of this project will use remote sensing tools and satellite images to develop early detection techniques for Dubas bug at broad scales. We will use images such as Quickbird (both panchromatic and multispectral) and/or the new 8-band WorldView images to map the spatial distribution of the bug, and possibly do this on a temporal scale as well to see the directions and speed of spread. We intend to use the new hyperspectral remote sensing techniques to develop early pre-visual detection of the Dubas bug. The output, especially the spatial distribution and spread images, will be used as inputs to the GIS-based predictive models. I note that I have attached three pdf files that should be linked to project title, so people can click on it and go to another page having these 3 pfd files. Abdullah Alqurashi (Saudi Arabia) Thesis Title: Analysing the complexity of urban cover change and its associated environmental impacts (Spatiotemporal study using Remote Sensing and GIS modelling). (Current). Nadiezhda Cabral (Mexico) Thesis Title: Modelling Climate Change impacts and effects on common bean and maize in Mexico. (Current). Dymphna Javier (Philippines) Thesis Title: Use of GIS and high-resolution satellite imagery in generation of landslide hazard and risk maps in the Municipality of Tublay, Province of Benguet, Northern Philippines (Current). Amal Allbed (Saudi Arabia) Thesis Title: Using geographic information system and remote sensing technologies to assess and map soil salinity in Al Hassa oasis in the Eastern province of Saudi Arabia. (Current). Mofza Algahtany (Saudi Arabia) Thesis Title: Modelling spatial distribution and association between economic and social factors and criminal issues in Saudi Arabia. (Current). David Moffitt (Australia) Thesis Title: Application of remote sensing and GIS techniques to the assessment of susceptibility of coastal regions within Pacific Islands to climate-related risks (Current). Mark Cameron (Australia) Thesis Title: An image processing and classification/segmentation procedure for natural landscapes in NSW (Current). Pramod Lamsal (Nepal) Thesis Title: Climate change impacts on the high altitude ecosystem and biodiversity of Nepal. (Current). Manoj Kumer Ghosh (Bangladesh) Thesis Title: Mapping Long-term changes in mangrove cover in Sundarbans, Bangladesh and predictions of future change under climate change scenarios (Current). Shrijana Poudyal (Nepal) Thesis Title: Assessing socio-economic vulnerability to climate change in Pacific Islands (Current). Rasha Aljaryian (Iraq) Thesis Title: The Impacts of Climate Change on Agricultural Crops and Their Pests Using Species Distribution Modelling: A Case Study of Iraq. (Current). Rashid Al Sidi (Oman) Thesis Title: Modelling of Dubas Bug Habitat and Population Density in Oman Based on Associations with Human, Environmental and Climatological Factors (Current). Ricardo (Brazil) Thesis Title: Spatio-temporal dynamics and impacts of climate change on Neoleucinodes elegantalis and Solanum lycopersicum using modelling. (Current). Farzin Shabani (Iran) Thesis Title: Modelling the impact of climate change on future distribution of date palm. (Graduated). Priyakant Sinha (India) Thesis Title: GIS and Remote Sensing based land cover change detection, prediction modelling and assessment of change on biodiversity using time-series data. (Graduated). Bharat Subhashni Taylor (Fiji) Thesis Title: Remote sensing and modelling the distribution of 'Lantana camara' L. in relation to land-use, soil drainage and climate change. (Graduated). Kathryn Lambert (Australia) Thesis Title: Quantifying the Importance of Lantana Removal, Soil Nutrient Profiles, Insect Assemblages and Bell Miner Density on Bell Miner Associated Dieback. (Graduated). Hassan Khormi (Saudi Arabia) Thesis Title: Modelling of dengue fever and its vector risks based on the impacts of socioeconomic, meteorological and environmental factors: a Geographic Information System-based case study of Jeddah, Saudi Arabia. (Graduated). Khaled Alqadi (Jordan) Thesis Title: Using spatial analyses tools to study the impact of changing demographics, agricultural extents and urban growth on water quality and availability in the Amman-Zarqa basin, Jordan. (Graduated). Jaqueline Thorner (Brazil) Thesis Title: Effects of rising sea levels on habitat diversity and biodiversity of intertidal rocky reefs. (Graduated). Hanieh Saremi (Iran) Thesis Title: Use of LiDAR data to quantify the influence of topography on radiata pine ('Pinus radiata' D. Don) at the sub-compartment level. (Graduated). Michael Drielsma (Australia) Thesis Title: Regional-scale Collaborative Biodiversity Modelling in a Complex World. (Graduated). Caitlyn Johns (Australia) Thesis Title: Predicting the Effects of Restoring Tidal Connectivity on the Vegetation of Fresh and Oligohaline Wetlands: Clarence River Floodplain, Northern NSW. (Graduated). Francis Karanja (Kenya) Thesis Title: Ecosystem Service Provision from Natural Resource Management Interventions in the Gwydir Catchment, North-Western New South Wales: Spatial Bio-Economic Evaluation at Catchment, District and Farm Scales. (Graduated). Su Xianfeng (China) Thesis Title: Vegetation recovery and simulation of colonisation process of dominant species after open-cut mining at Boggabri, NSW, Australia. (Graduated). Lamsal, P., Atreya, K., Pant, K.P., Kumar, L. (In Press) Wetland Resource, Livelihood Support and Economic Valuation - A Case of Nepal. 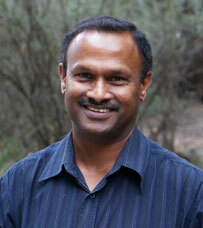 In Wetland Science: Perspectives from South Asia. (Prusty et al, eds). Springer. Kumar, L., Lamsal, P. (In Press) High altitude wetlands of Nepal. In Milton, R. and Prentice, C. (Eds) Wetlands of the World. Springer. Kumar, L., Sinha, P., Brown, J.F., Ramsey, R. D., Rigge, M., Stam, C.A., Hernandez, A.J., Hunt Jr., E. R. and Reeves, M.C. (2016). Characterization, Mapping, and Monitoring of Rangelands: Methods and Approaches. In Remote Sensing Handbook. Volume II: Land Resources: Monitoring, Modeling, and Mapping, Chapter 12, (P.S. Thenkabail, ed.). Boca Raton, FL: CRC Press. Reeves, M. C., Angerer, J., Hunt, E. R., Kulawardhana, W., Kumar, L., Loboda, T., Loveland, T., Metternicht, G., Ramsey, R. D., and Washington-Allen, R. A. (2016). A global view of remote sensing of rangelands: Evolution, applications, and future pathways. In Remote Sensing Handbook. Volume II: Land Resources: Monitoring, Modeling, and Mapping, Chapter 10, (P.S. Thenkabail, ed.). Boca Raton, FL: CRC Press. Hunt Jr., E. R., Wang, C., Booth, D.T., Cox, S.E., Kumar, L. and Reeves, M.C. (2016). Remote Sensing of Rangeland Biodiversity. In Remote Sensing Handbook. Volume II: Land Resources: Monitoring, Modeling, and Mapping, Chapter 11, (P.S. Thenkabail, ed.). Boca Raton, FL: CRC Press. Kumar, L., Singh, A. (2013) Remote Sensing and GIS Techniques for the Assessment of Biofuel and Biomass Energy Resources, in Walter Leal Filho, Franziska Mannke, Romeela Mohee, Veronika Schulte, Dinesh Surroop (eds) Climate – Smart Technologies: Integrating Renewable Energy and Energy Efficiency in Mitigation and Adaptation Responses. Springer-Verlag, Berlin. pp283-294. DOI: 10.1007/978-3-642-37753-2_21. Kumar, L., Schmidt, K.S., Dury, S., Skidmore, A.K. (2006) Imaging spectrometry and vegetation science. In F. van de Meer. and S.M. de Jong (Eds). Imaging Spectrometry (Kluwer), Second Edition. pp 111-155. Kandeh, J.M.K., Ahadi, A.W., Kumar, L. (2005) Using Remote Sensing Data for Earthquake Damage Assessment in Afghanistan: The Role of the International Charter. In Peter van Oosterom, Siyka Zlatanova and Elfriede M. Fendel (Eds) Geo-information for Disaster Management (Springer – Berlin), pp. 829-840. Said, M.; Skidmore, A.K. ; Leeuw, J. de; Aligula, H.M.; Kumar, L.; Prins, H.H.T. (2003) Analysis of the relation between ungulate species richness in East Africa and climate and remotely sensed productivity indices. In: Multiscale perspectives of species richness in East Africa. Said, M.Y., Wageningen University, 204 pages. ISBN 9058087948/ 9789058087942. Woodcock, C., Macomber, S., Kumar, L. (2002) Vegetation mapping and detection of environmental change. In Skidmore, A.K. (Ed). Environmental modelling using GIS and remote sensing (Taylor & Francis) pp.97-120. Kumar, L., Schmidt, K.S., Dury, S., Skidmore, A.K. (2001) Imaging spectrometry and vegetation science. In F. van de Meer and S.M. de Jong (Eds). Imaging Spectrometry (Kluwer), pp 111-155. Lambert, K., Kumar, L., Reid, N., McDonald, P.G. (2016) Habitat selection by a despotic passerine, the Bell Miner (Manorina melanophrys): when restoring habitat through Lantana (Lantana camara) removal is not enough. Ecological Management & Restoration, 17(1): 81-84. Ramirez-Cabral, N.Y.Z., Kumar, L. and Taylor, S. (2016). Crop niche modeling projects major shifts in common bean growing areas. Agricultural and Forest Meteorology, 218-219: 102-113. Kandeh, J., Kumar, L. (2015) Developing a relative ranking of social vulnerability of Governorates of Yemen to Humanitarian crisis. ISPRS International Journal of Geoinformation, 4: 1913-1935. doi:10.3390/ijgi4041913. Kumar, L., Taylor, S. (2015) Exposure of coastal built assets in the South Pacific to climate risks. Nature Climate Change, 5: 992-996. DOI: 10.1038/NCLIMATE2702. Shabani, F., Kumar, L. (2015) Should species distribution models use only native or exotic records of existence or both? Ecological Informatics, 29(1): 57-65. Paterson, R.M., Kumar, L., Taylor, S. Lima, N.M. (2015) Future climate effects on suitability for growth of oil palms in Malaysia and Indonesia. Scientific Reports, 5:14457. DOI: 10.1038/srep14457. Kumar, L., Khormi, H.M., Leis, K., Taylor, S. (In Press) Ecological Research in Australia: Identifying links versus gaps between hotspots of ecological research and biodiversity. Austral Ecology, 40: 581-590. Kumar, L., Sinha, P., Taylor, S., Alqurashi, A. (2015) Review of the use of remote sensing for biomass estimation to support renewable energy generation. Journal of Applied Remote Sensing, 9(1), 097696 (2015). doi:10.1117/1.JRS.9.097696. Shabani, F., Kumar, L. (2015) Distribution of date palms in the Middle East based on future climate scenarios. Experimental Agriculture. 51 (2): 244-263. Gholoobi, M., Kumar, L. (2015) Using object-based hierarchical classification to extract land use land cover classes from high resolution satellite imagery in a complex urban area. Journal of Applied Remote Sensing, 9(1), 096052 (2015). doi:10.1117/1.JRS.9.096052. Okonkwo, C.N.P., Kumar, L., Taylor, S. (2015) The Niger Delta Wetland Ecosystem: What threatens it and why should we protect it? African Journal of Environmental Science and Technology, 9(5): 451-463. Nahavandy, S.K Ghamisi, P., Kumar, L., Couciero, M.S. (2015) A Novel Adaptive Compression Technique for Dealing with Corrupt Bands and High Levels of Band Correlations in Hyperspectral Images based on Binary Hybrid GA-PSO for Big Data Compression. International Journal of Computer Applications, 109(8): 18-25. Al-Ghamdi, K.M., Al-Azab, A.M., Khormi, H.M., Kumar, L., Mahyoub, J.A. (2014) Monitoring larval populations of Aedes aegypti in different residential districts of Jeddah governorate, Saudi Arabia. Journal of Food, Agriculture & Environment, 12(3&4): 448-452. Shabani. F., Kumar. L., Esmaeli, A. (2014) Future Distributions of Fusarium oxysporum f. spp. in European, Middle Eastern and North African Agricultural Regions under Climate Change. Agriculture, Ecosystems and Environment, 197: 96-105. Clarke, P.J., Knox, K.J.E., Bradstock, R.A., Munoz-Robles, C., Kumar, L. (2014) Vegetation, terrain and fire history shape the impact of extreme weather on fire severity and ecosystem response. Journal of Vegetation Science, 25(4): 1033-1044. Taylor, S., Kumar, L. (2014) Impacts of climate change on invasive Lantana camara L. distribution in South Africa. African Journal of Environmental Science and Technology, 8(6): 391-400. Khormi, H., Kumar, L. (2014) Climate change and the potential global distribution of Aedes aegypti: spatial modelling using GIS and CLIMEX. Geospatial Health, 8(2): 405-415. Taylor, S., Kumar, L. (2014) Climate Change and Weed Impacts on Small Island Ecosystems: Lantana camara L. (Magnoliopsida: Verbenaceae) Distribution in Fiji. Pacific Science, 68(1): 117-133. Shabani, F., Kumar, L., Esmaeili, A., Saremi, H. (2013) Climate Change Will Lead to Larger Areas of Spain Being Conducive to Date Palm Cultivation. Journal of Food, Agriculture and Environment, 11(3-4): 2441-2446. Allbed, A., Kumar, L. (2013) Soil Salinity Mapping and Monitoring In Arid and Semi-Arid Regions Using Remote Sensing Technology: A Review. Advances in Remote Sensing, 2: 373-385. Sinha, P., Kumar, L. (2013) Markov land cover change modeling using multiple pairs of time-series satellite images. Photogrammetric Engineering & Remote Sensing, 79(11): 1037-1051. Albalawi, E. K., Kumar, L. (2013) Using remote sensing technology to detect, model and map desertification: A review. Journal of Food, Agriculture and Environment, 11(2): 791-797. Khormi, H., Kumar, L. (2013) Using geographic Information system and remote sensing to study common mosquito-borne diseases in Saudi Arabia: A review. Journal of Food, Agriculture and Environment, 11(2): 14-17. Sinha, P., Kumar, L. (2013) Independent Two-step Thresholding of Binary Images in Inter-Annual Land Cover Change/No-Change Identification. ISPRS Journal of Photogrammetry and Remote Sensing, 81(7): 31-43. Kumar, L. (2013) Effect of rounding off elevation values on the calculation of aspect and slope from a gridded digital elevation model. Journal of Spatial Science, 58(1): 91-100. Lamsal, P., Pant, K.P., Kumar, L. (2013) Geographic Information (GI) Product Marketing through Advertisements: An Application of Content Analysis. European Journal of Business and Management, 5(9): 62-74. Alqadi, K., Kumar, L. (2013) Are there monthly variations in water quality in the Amman, Zarqa and Balqa Regions, Jordan? Computational Water, Energy, and Environmental Engineering, 2: 26-35. Taylor, S., Kumar, L. (2013) Potential distribution of an invasive species under climate change scenarios using CLIMEX and Soil Drainage: A case study of Lantana camara L. in Queensland, Australia. Journal of Environmental Management, 114: 414-422. Sinha, P., Kumar, L. (2013) Binary images in seasonal land-cover change identification: a comparative study in parts of New South Wales, Australia. International Journal of Remote Sensing, 34(6): 2162-2186. Twongyirwe, R., Sheil, D., Majaliwa, J. G. M., Ebanyat, P., Tenywa, M. M., Heist, M.van, Kumar, L. (2013) Variability of Soil Organic Carbon stocks under different land uses/cover: A study in an afro-montane landscape in Southwestern Uganda. Geoderma, 193-194: 282-289. Khormi, H., Elzahrany, R., Kumar, L. (2012) The benefits and challenges of scaling up dengue surveillance in Saudi Arabia from a GIS perspective. Dengue Bulletin, 36: 26-36. Nazeri, M., Jusoff, K., Madani, N., Mahmud, A.R., Sharma, R.S.K., Kumar, L. (2012) Predictive Modeling and Mapping of Malayan Sun Bear (Helarctos malayanus) Distribution Using Maximum Entropy, PLoS ONE 7(10): e48104, doi:10.1371/journal.pone.0048104. Shabani, F., Kumar, L., Taylor, S. (2012) Climate change impacts on the future distribution of Date Palms: A modelling exercise using CLIMEX. PLoS ONE 7(10): e48021, doi:10.1371/journal.pone.0048021. Taylor, S., Kumar, L., Reid, N. (2012) Impacts of climate change and land-use on the potential distribution of an invasive weed: a case study of Lantana camara L. in Australia. Weed Research, 52: 391-401. Gohari, A., Ahmed, A., Hashim, M.G., Kheirandish, S., Kumar, L. (2012) Towards the design of a GIS-based routing system. International Journal of Geoinformatics, 8(2): 63-69. Khormi, H., Kumar, L. (2012) The importance of appropriate temporal and spatial scales for dengue fever control and management. Science of the Total Environment. 430: 144-149. Khormi, H., Kumar, L. (2012) Assessing the risk for Dengue fever based on socioeconomic and environmental variables in a GIS environment. Geospatial Health, 6(2): 171-176. Sinha, P., Kumar, L., Reid, N. (2012) Seasonal variation in land-cover classification accuracy in a diverse region. Photogrammetric Engineering & Remote Sensing, 78(3): 271-280. Taylor, S., Kumar, L. Reid, N., Lewis, C.R.G. (2012) Optimal band selection from hyperspectral data for Lantana camara discrimination. International Journal of Remote Sensing, 33(17): 5418-5437. Taylor, S., Kumar, L., Reid, N. (2011) Accuracy Comparison of Quickbird, Landsat TM and SPOT 5 Imagery for Lantana camara Mapping. Journal of Spatial Science, 56(2): 241-252. Khormi, H., Kumar, L. (2011) Identifying and visualizing spatial patterns and hotspots of dengue fever clinically confirmed cases and female Aedes aegypti mosquitoes in Jeddah, Saudi Arabia. Dengue Bulletin, 35: 15-34. Khormi, H., Kumar, L., Elzahrany, R. (2011) Modeling spatiotemporal risk changes in the incidence of dengue fever in Saudi Arabia: a geographic information system case study. Geospatial Health, 6(1): 77-84. Khormi, H., Kumar, L. (2011) Modeling Dengue Fever Risk Based on Socioeconomic Parameters, Nationality and Age groups: GIS and Remote Sensing Based Case Study. Science of the Total Environment. 409: 4713-4719. Khormi, H., Kumar, L., Elzahrany, R. (2011) Describing and Analysing the Association between Meteorological Variables and Adult Aedes Aegypti Mosquitoes. Journal of Food, Agriculture and Environment, 9: 954-959. Alqadi, K., Kumar, L. (2011) Water issues in the Kingdom of Jordan: A brief review with reasons for declining quality. Journal of Food, Agriculture and Environment, 9: 1019-1023. Khormi, H., Kumar, L. (2011) Examples of using spatial information technologies for mapping and modeling mosquito-borne diseases based on environmental, climatic and socio-economic factors and different spatial statistics, temporal risk indices and spatial analysis: A review. Journal of Food, Agriculture & Environment. 9(2): 41-49. Kumar, L. (2010) Leaf level experiments to discriminate between eucalyptus species using high spectral resolution reflectance data: Use of derivatives, ratios and vegetation indices. Geocarto International, 25(4): 327-344. Mutanga, O., van Aardt, J., Kumar, L. (2009) Imaging spectroscopy (hyperspectral remote sensing) in southern Africa: an overview. South African Journal of Science, 105: 193-198. Kumar, L. (2007) High-spectral resolution data for determining leaf water content in Eucalyptus species: leaf level experiments. Geocarto International. 22:3-16. Kumar, L. (2007) A comparison of reflectance characteristics of some Australian eucalyptus species based on high spectral resolution data – discriminating using the visible and NIR regions. Journal of Spatial Science, 52(2): 51-64. Liu, C. Frazier, P., Kumar, L. (2007) Comparative assessment of the measures of thematic classification accuracy. Remote Sensing of Environment, 107: 606-616. Mutanga, O. and Kumar, L. (2007) Estimating and mapping grass phosphorus concentration in an African savanna using hyperspectral image data. International Journal of Remote Sensing, 28(21): 4897-4911. Kandeh, J.M.K., Kumar, L. (2006) Standardization in mapping and monitoring of invasive alien plant species. Journal of Environmental Informatics 7 (1): 36-47. Kumar, L., Skidmore, A.K. (2006) NIR and SWIR Reflectance characteristics of dry plant materials of some Eucalyptus species. International Journal of GeoInformatics, 2(1): 47-59. Liu, C., Frazier, P., Kumar, L., MacGregor, C., Blake, N. (2006) Catchment-wide wetland assessment and prioritization using the multi-criteria decision-making method TOPSIS. Environmental Management 38(2): 316-326. Mutanga, O., Skidmore, A.K., Kumar, L., and Ferwerda, J. (2005) Estimating tropical pasture quality at canopy level using band depth analysis with continuum removal in the visible domain. International Journal of Remote Sensing, 26(6): 1093-1108). Schmidt, K.S., Skidmore, A.K., Kloosterman, E.H., Van Oosten, H., Kumar, L., Janssen, J. (2004) Mapping coastal vegetation using an expert system and hyperspectral imagery. Photogrammetric Engineering and Remote Sensing, 70(6): 703-715.
van Langevelde, F., van de Vijver, C.A.D.M., Kumar, L., van de Koppel, J., de Ridder, N., van Andel, J., Skidmore, A.K., Hearne, J., Stroosnijder, L., Bond, W.J., Prins, H.H.T., and Rietkerk, M. (2003). Effects of fire and herbivory on the stability of savanna ecosystems. Ecology, 84(2): 337-350. Kumar, L., Rietkerk, M., van Langevelde, F., van de Koppel, J., van Andel, J., Hearne, J., de Ridder, N., Stroosnijder, L., Prins, H.H.T., Skidmore, A.K. (2002) Relationship between vegetation recovery rates and soil type in the Sahel of Burkina Faso: Implications for resource utilization at large scales. Ecological Modelling, 149: 143-152. Rietkerk, M., Ouedraogo, T., Kumar, L., Sanou, S., Van Langevelde, F., Kiema, A., Van de Koppel, J., Van Andel, J., Hearne, J., Skidmore, A.K., De Ridder, N., Stroosnijder, L., and Prins, H.H.T. (2002). Fine-scale spatial distribution of plants and resources on a sandy soil in the Sahel. Plant and Soil 239: 69– 77. Rietkerk, M., Boerlijst, M.C., Van Langevelde, F., HilleRisLambers, R., Van de Koppel, J., Kumar, L., Klausmeier, C.A., Prins, H.H.T., De Roos, A. (2002) Self-organisation of vegetation in arid ecosystems. The American Naturalist, 160(4): 524–530. Rietkerk, M., van de Koppel, J., Kumar, L., van Langevelde, F., Prins, H.H.T. (2002) The Ecology of Scale. Ecological Modelling, 149: 1-4.
van de Koppel, J., Rietkerk, M., van Langevelde, F., Kumar, L., Klausmeier, A., Fryxell, J.M., Hearne, J., van Andel, J., de Ridder, N., Skidmore, A.K., Stroosnijder, L., Prins, H.H.T. (2002) Spatial heterogeneity and irreversible vegetation change in semi-arid grazing systems. The American Naturalist, 159(2): 209-218. Kumar, L., Skidmore, A.K. (2000) Radiation - vegetation relationships in an Eucalyptus forest. Photogrammetric Engineering and Remote Sensing, 66(2): 193-204. Kumar, L., Skidmore, A.K., Knowles, E. (1997) Modelling topographic variation in solar radiation in a GIS environment. International Journal of Geographical Information Science, 11(5): 475-497. Skidmore, A.K., Bijker, W., Schmidt, K., Kumar, L. (1997) Use of Remote Sensing and GIS for Sustainable Land Management. ITC Journal 1997-3/4: 302-315.